IEEE (IRE) sections began to develop in the Asia-Pacific region prior to the formation of a Region 10 district. New Zealand started in 1968, Pakistan in 1968, India (Bombay) in 1969 and Tokyo in 1955 (as part of the IRE). The formation of Region 10 was approved by the IEEE Board of Directors at the 24 August 1966 meeting. The new Bylaw first appeared in the 3 November 1966 edition of the Bylaws noting that it would be effective 1 January 1967. The result was that, quoting from Martin Bastiaans' A short history of IRE Region 9 / IEEE Region 8 "on 1 January 1967 South America became Region 9, with Region 10 covering other parts of the world, still including a great part of Africa; finally on 1 January 1981 the remainder of Africa became part of Region 8." The inaugural steering director for Region 10 was Dr.Shigeo Shima of Japan who was offered this task for 1967-68 by the IEEE Assembly. Then began establishment of IEEE Sections and the gradual development of a community of interest in the Asia-Pacific region. 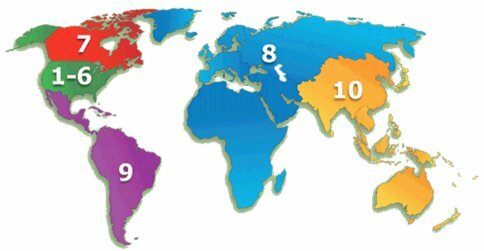 The original definition of Region 10 was 'all remaining areas not included in the Regions 1 through 9'. 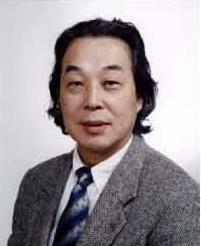 In 1971 Mr. Tatsuji Nomura of NHK Japan, the then director, took the initiative of forming a regional committee. The existing IEEE Sections in the region namely India, New Zealand, Pakistan and Tokyo were represented on that committee and the first meeting took place at the Peninsular Hotel, Hong Kong in early July 1971. That first meeting was exploratory. Section chairmen exchanged ideas and experiences and sought solutions to problems of Section administration and Section operation. Since then the regional committee has met annually, somewhere in the region, on occasions with IEEE Headquarters officers present to assist and advise. Over these years committee evolved up to the present as the deliberating region. The Region 10 Student Paper Contest, introduced in 1974, was the first major exercise undertaken on a region-wide basis The drafting and approval of the rules of the contest was the outcome of considerable study and discussion by the regional committee. This was a natural development of the student activities function of the committee. Also innovated in the years leading up to 1974 were important section technical conferences in India, Japan and New Zealand. By 1976 section formation in the countries of the region was virtually complete. Moreover, in India where just one country section had been formed initially, new independent sections were being established in the important cities. An important parallel development was the formation of multiple technical chapters of technical groups in Tokyo Section, where formation of new chapters has continued up to the present. Several chapters were also formed elsewhere in the region, in India and New Zealand. The formation of multiple IEEE Sections in India was followed by establishment of the all India IEEE Council, the first in Region 10 with Mr. Faqir Kohli, a past regional director, as founding chairman. The regional committee gave much study to educational activities and the arranging of lecture tours by distinguished IEEE speakers. Several such tours took place in the region. In the period 1977-78 region 10 office bearers were apprehensive about the growing size of the regional committee and the mounting cost of staging the annual meeting. The increase in committee membership resulted in part from formation of additional sections in countries where one section existed already. As a reaction to this situation a special formula was hammered out covering reimbursement of costs to attendees from the regional treasury. The regional committee from inception in 1971 through until the end of 1980 was in search of its identity and mission in the region and functioned by and large as a discussion group of elected section representatives without set parliamentary procedures and without an elected region 10 delegate. Preoccupation with side issues tended to inhibit the development of important objectives in the region. In 1979, on the initiative of the serving director Dr.S.Y. King, the regional committee accepted the long overdue and task of drafting and approving a set of Region 10 Bylaws covering the election of Region 10 officers, voting procedures within the committee and the essentials of committee operation and management. In 1979 the territory of the region was amended to exclude Africa which with the mutual agreement of other concerned was added to the territory of Region 8, namely Europe. Under the newly introduced and approved Region 10 Bylaws, Region 10 directors were elected by the membership of Region 10, beginning with the election held in 1980 for the 1981 year. 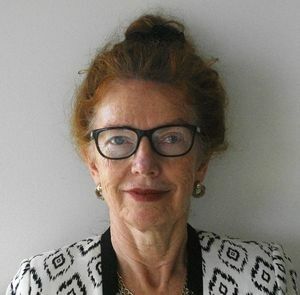 Prior to 1980, the Region 10 director had been elected by the IEEE Assembly. 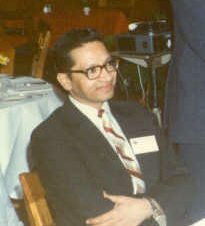 The first Region 10 Delegate and Director to be elected was Dr. V. Prasad Kodali of New Delhi, who was a petition candidate, took office in 1981. In 1981-82 the regional committee, with a new sense of purpose, gave considerable attention to forward planning and to improving the organization and administration of Region 10 to give effect to these plans. New programmes were instituted. The Region 10 bylaws were amended in respect of election of vice chairman by the region. Procedural guidelines were introduced. A significant first in 1981-82 for the region was the inception of TENCON, an international technical conference initiated and hosted by Hong Kong Section and co-sponsored by Region 10. 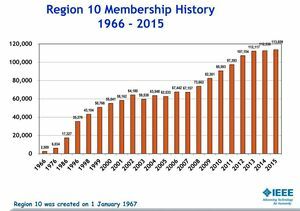 In 1981 the IEEE membership in Region 10 passed the 10,000 mark, a growth rate of better than 10 per cent having been sustained for many years. The prediction for 1984, the Centennial year was 15,000 members. It is interesting to note that in 1971 the number of regional committee members was just 5 whereas a decade later in 1981-82 this number was 27. Also there were 8 special guests at the regional committee meeting held in 1982 in New Delhi, so the attendance possible had risen to 35. Special guests at that meeting included the IEEE President, General Manager, Vice President for Regional Activities, Vice President for Technical Activities, and Presidents of the Computer, AES, CHMT and MTT Technical Societies. Plans were laid in 1981-82 for marking the Centennial ln 1984. These plans included preparations for "Blue Book History" publication of the Region 10 and for the Region to participate in commemorative activities. These plans were carried forward in 1983 and included preparations for the Region 10 Centennial Banquet which was held in Singapore during TENCON II. Dr Harry Green was first “elected” Region 10 Director for 1983-84. This coincided with minor Region 10 boundary adjustments. Prior to 1983, all Region 10 directors were simply appointed for a fixed 2 year term by headquarters, while Regions 1 through 9 had all elected their representatives. This procedural update brought Region 10 under the same governance nd electrion rules that had applied to the rest of the IEEE, and in some ways allowed Region 10 to progress as a formally recognised region. IEEE Region 10 membership exceeded 100,000 for the first time in 2012. The Korea Council was originally disbanded in 2000 due to issues with bylaws, cooperation and misunderstandings. the R10 committee agreed to re-form the Council in 2009, with agreement from all Korean Sections. This page was last edited on 2 April 2019, at 01:19.